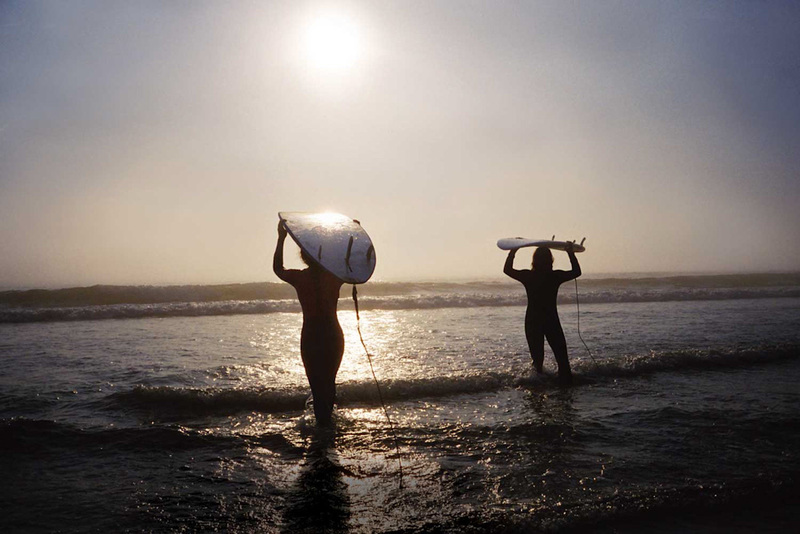 Surfers head out to catch a wave on Long beach in Tofino (photo: Canadian Tourism Commission). Everything from seaplanes, yachts and grey whales drift past Tofino on Clayoquot Sound (photo: Craig Tansley). Sunset over the unexpected surf town of Tofino (photo: Vancouver Island Tourism). 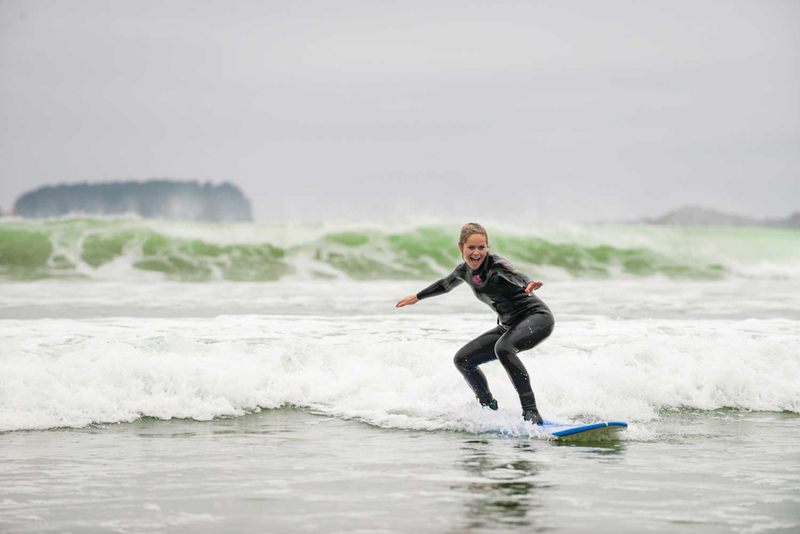 A thrilled surfer is estatic to have caught a good wave on Tofino beach (photo: Brooke Arnold). 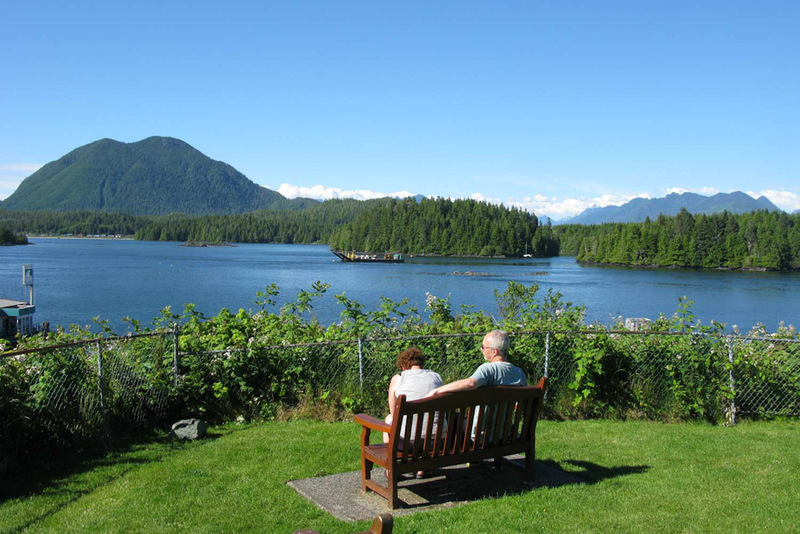 Couple basking in the sun away from the main street's of Tofino (photo: Craig Tansley). 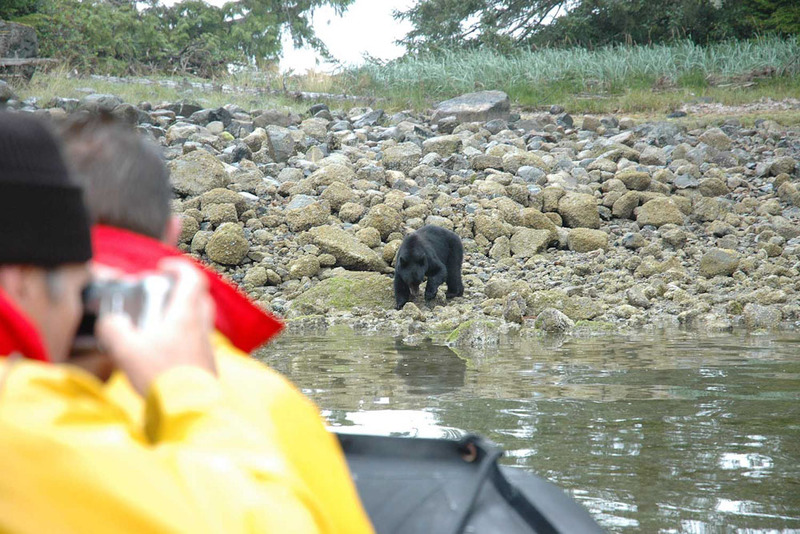 A black bear spotted on a Tofino coastal bear watch tour (photo: Remote Passages Marine Excursions). 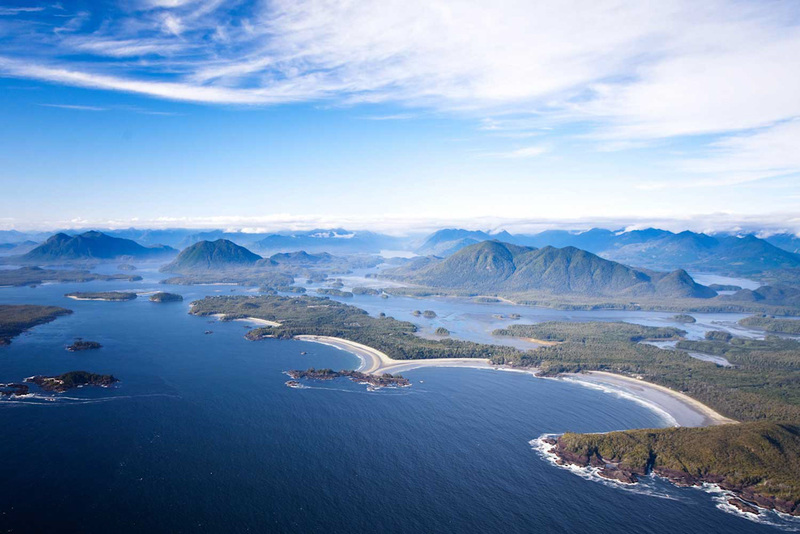 Ariel view of the rugged and scenic landscape surrounding Tofino (photo: Vancouver Island Tourism). 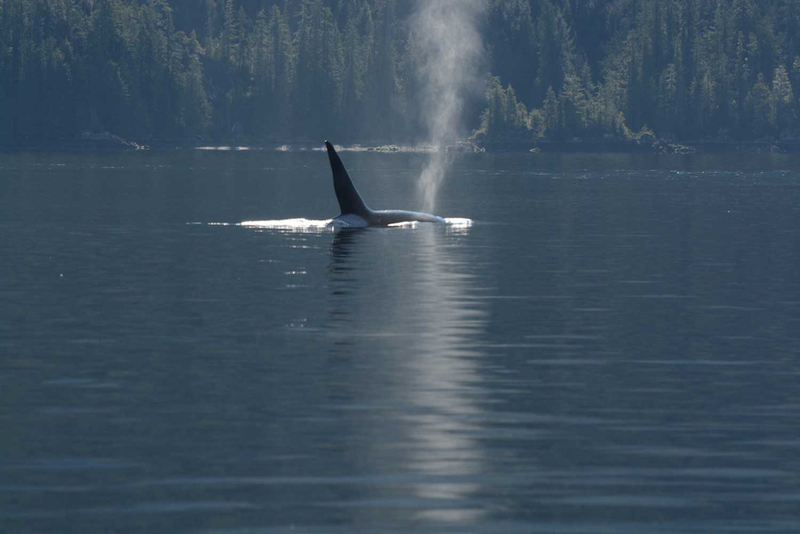 An orca surfacing in Clayoquot Sound. Grey whales and seals can also be spotted during a guided Tofino excursion (photo: Remote Passages Marine Excursions). 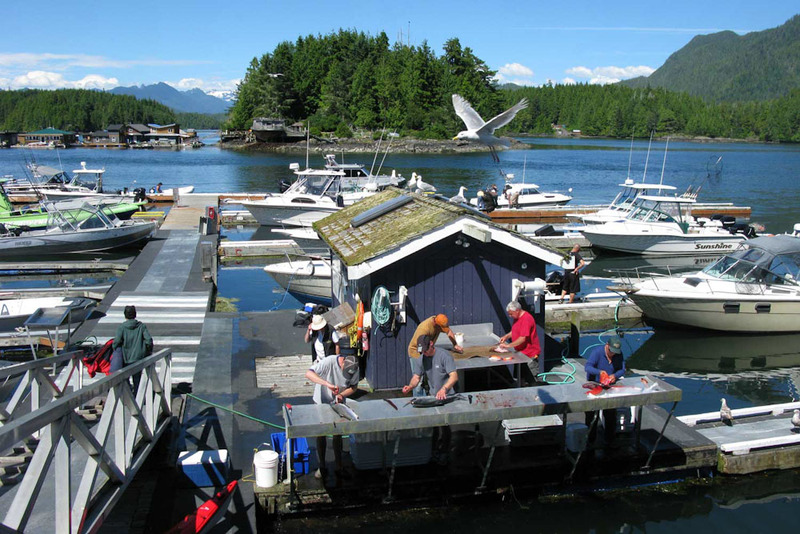 Local Tofino fishermen cleaning their catch next to the harbour (photo: Craig Tansley). The world’s best surf town isn’t in Hawaii, Australia, Tahiti or America – it’s in Canada, and it’s wilder than all of them put together; grab your board and catch a wave with Craig Tansley in Tofino. The surfer with the oh-so-cliched surfer vernacular sipping at his green matcha tea latte is no teenager. Nor he is blond, and his nose isn’t peeling right off his face, exposing another mess of life-long freckles. And nor am I in southern California, the north shore of Oahu or Queensland’s Gold Coast. No way – sooo far from it, dude. This bloke’s not a day under 70, and I’m in Canada. Yep, you heard me. I’m in one of the surf world’s hippest surf towns – though it’s a hip surf town that everyone forgot to tell the rest of the surfing world about. Here, folk still call each other ‘dude’ without a hint of irony, the radio DJ tells us we’re ‘surfing the radio waves with Long Beach Radio’, surfers scream at me in the line-up – not to scare me off their waves, but to invite me to share – and a singer at a bar one night tells the crowd not to applaud, that he’s happy anyway, because “I got some good waves today”. In a country more famed for its skiing merits, Tofino – on Vancouver Island’s rugged west coast – shouldn’t belong. Only when I paddle out for my first surf and feel the chill creep into every nerve ending in my body, do I remember where I am (oh, and the baby sea lion that plays with me between waves isn’t something I’m used to at home either – or the tales of the occasional cougar on the beach). Tofino is, hands down, the prettiest surf town on this planet. I grew up in Byron Bay, but for sheer viewing pleasure, Tofino tops even Australia’s most iconic surf mecca. There is, however, something about Tofino that reminds me of the Byron of my childhood, long before the hour-long traffic jams into town. 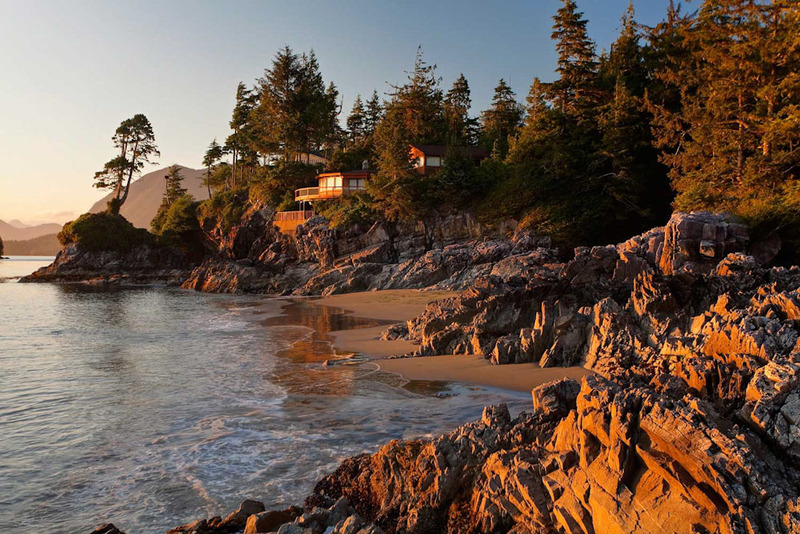 Tofino is spread across one of Canada’s wildest national parks, on Canada’s wildest coastline. A couple of decades ago, the town was only connected to the rest of Canada by a dirt and gravel road that only the brave dared cross in winter. Perhaps that’s why the town feels like it’s caught in a time warp, calling from a far more innocent era. There’s hippies here who still think it’s 1973, cafes in town only serve organic fare and there’s folk still hiding out in the forest around town from the Vietnam war draft. “I call this place Never-Never Land,” my septuagenarian surfer pal tells me. There’s so much more to this surf town than its surf, too. 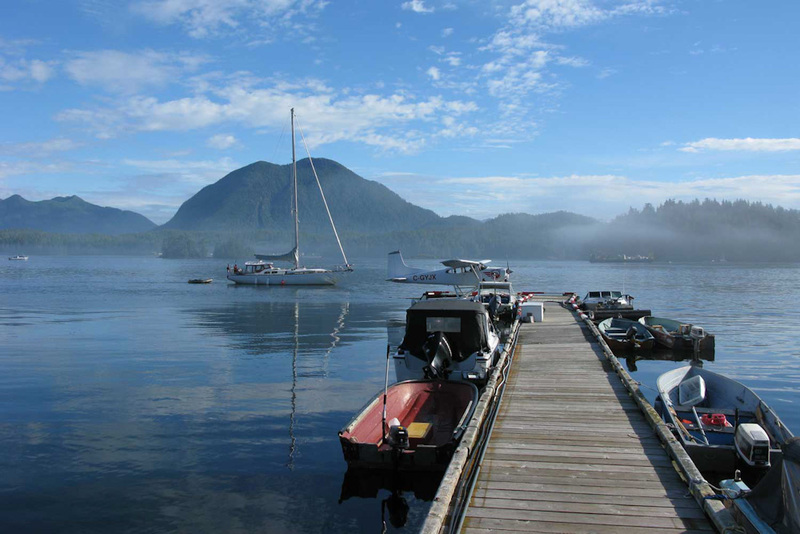 On the opposite edge of town, the UNESCO Biosphere Reserve protected Clayoquot Sound runs beside Tofino. Yachts and fishing boats travel back and forth across it, and most days the air above buzzes with seaplanes. I’m intrigued as to where they take you, so on a perfectly still summer morning, I climb aboard one of them. We fly across the sound, circling low to watch grey whales in the shallows, then land on the water beside an old-growth forest where I walk for 30 minutes amongst centuries-old cedars till I reach volcanic hot springs at the inventively named Hot Springs Cove. I sit with a handful of travellers, switching hot pools looking for the temperature I prefer (they range from 50 to 100 degrees Celsius). There’s no sulfur smell at all, instead I sit breathing in the smell of damp forest beside me. On the other side, I look out to the sea where a pod of grey whales swim past. Next day I take a boat tour to watch black bears in the forest beside Clayoquot Sound, while on another afternoon I kayak along the calm water beside sea otters chewing on floating logs, and beside harbour seals that duck and weave around me. When they first surface I’m stricken with panic, confusing them for orcas which occasionally come into the sound. In the 1990s, Tofino was the setting for the largest environmental protests in Canada’s history. Together, the community banded together to stop the logging industry felling the old-growth forests beside town. As I settle into the rhythm of Tofino, I swear I still feel the pride in that victory. It’s obvious how precious these forests are to everyone who lives here – each day they’re picnicking by the sound, or fishing from their sturdy little boats as bald eagles circle in the sky, or watching the sun set across the water from the back decks of their timber homes. It’s in these moments that I dread leaving Tofino the most. I hate the idea of checking out of the world’s best surf town – because it’s the surf town that barely a surfer on the planet knows a thing about.